Why a German teenager in Stuttgart is Shah Rukh Khan’s diehard fan. Bade bade shehron mein: Rene Lazar emulating Shah Rukh Khan’s signature step. Rene Lazar was nine years old when his life took a turn — his mother brought home a DVD of Kuch Kuch Hota Hai. They were instantly hooked, and afterwards, they procured as many movies of Shah Rukh Khan as they could find. The Lazars live in Stuttgart, famous for being the headquarters for Porsche and Mercedes, where it’s easier to get a car than a Bollywood film. When he was 11, Rene starred in his first fan video produced by his parents. The grainy footage shows a plump-cheeked boy with curly hair wearing an oversized shirt, matching steps with Khan to Dard-e-Disco. A year later, his mother passed away after a long battle with cancer. His father brought up Rene and his younger brother by himself. “Wasn’t it Shah Rukh who said, ‘We live once, we die once, we get married once, and love, that also happens once in a lifetime,’” quotes Branko, his father, without a trace of irony. Rene is now 19, and works as an industrial management assistant with Mercedes-Benz. That is his life from Monday to Friday. Over the weekend, he immerses himself in Hindi movies and impersonating Shah Rukh Khan in fan videos. He has made three videos since 2014, and is working on two more, and with each subsequent video, his fame has also grown. He was featured in a publicity video for the release of Khan’s latest movie, Fan. He was also interviewed in Ishq, a German magazine targeted at Bollywood fans. When we meet at the city centre of Stuttgart, Rene slowly spreads his arms wide open and looks intensely in the distance. 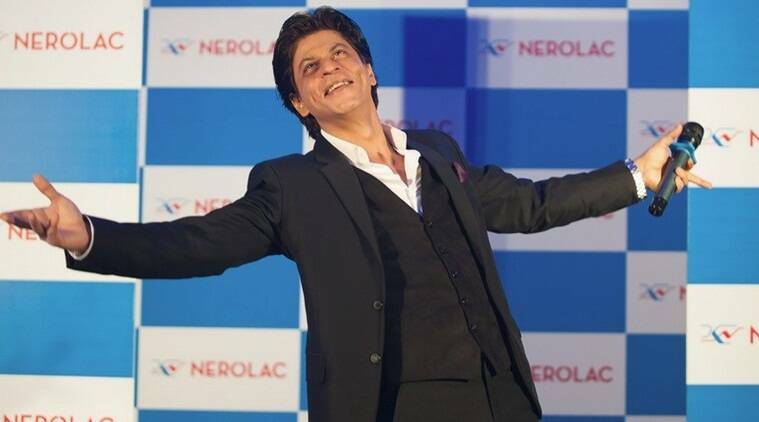 It elicits a Pavlovian response from those who are familiar with Shah Rukh Khan’s signature move, his all-encompassing hug to the world, the love he sends to all his fans. It’s a Friday evening. Rene and his father have a copy of the DVD for Dilwale, which has released that very day in Germany. They will watch the movie and scout for a location for Mitwa (from Kabhi Alvida Naa Kehna), the next video that the father-son team is producing, over the weekend. Rene has already heard the song more than a thousand times, and watched the videos repeatedly to learn the dance steps. It takes months of planning and practice to produce each video and the Lazars concentrate on the smallest of details. It was the video for Kal Ho Naa Ho that drew attention to Rene. Dressed in an all-white ensemble (like Khan in the original), the video was shot in locations around Stuttgart and their family home in Croatia. His last video, Challa (from Jab Tak Hain Jaan), has nearly 20,000 hits on YouTube. Father and son are quick to dispel the notion that they have taken their fandom too far. “We have real jobs in our real lives. But this makes us forget the real world. It makes us feel good,” says Rene. He asserts his right to be taken seriously: “Don’t laugh at me. This is hard work.” In the “real life” he mentions, his father works as a private investigator. They have no interest in German cinema, which is too real for them. At home, they have a collection of 300 DVDs of Bollywood and have recently invested in a steadicam, a crane and a drone to shoot their videos. The timeline she mentions is interesting, as it coincides with the rise of multiplex cinemas in India and movies that are less populist and more independent. While Indians are proud of this change, global fans of Bollywood are less taken in. “Where is the emotion? Where are the family problems, the culture and the tradition? They look more and more like Hollywood films,” says Rene. The only Hindi word he knows, apart from the titles of Khan’s movies, is ‘dil’. Where is the dil, he asks? Rene and Branko have planned a trip to India at the end of the year. Rene wants to be an actor in Bollywood. If he happens to meet Khan, what will he say to him? “If I stand in front of him, I will be speechless. I will pinch myself and ask, is this real? But then I will say to him, thank you Mr Khan for all the good movies. Thank you for the inspiration,” he says. Kumar is a Delhi-based journalist and Medienbotschafter Fellow 2016.